I have had a fantastic reaction to my first two brushes. 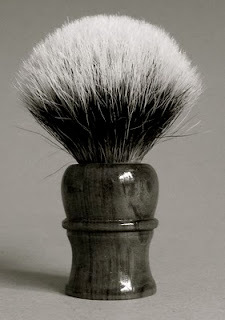 I have just posted details on some shaving forums and my blog. Feedback has done the rest. I'm not doing any other marketing. Two new developments will now proceed. I have bought a batch of two band and Finest Silvertip knots. And a small stock of imitation ivory, alpalina and imitation ebony. This will enable me to experiment with some new handle shapes for a few brushes I will have made in the New Forest. 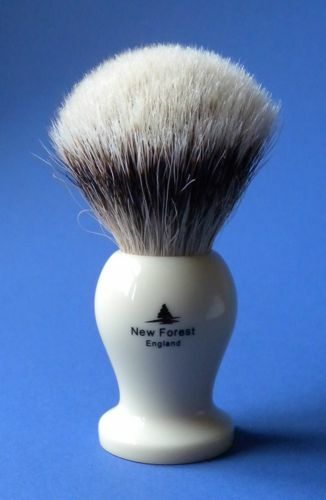 I plan to keep New Forest brushes as a small manageable one man business. I have declined offers from on line retailers to sell my brushes. That would push up my prices and increase the scale of activity beyond my comfort zone. I have no wish to be a threat to other brands and brush makers. I hope I can encourage enthusiasts to enjoy the fun of collecting more brushes. In that way, everyone benefits! So excited about the news!! Thanks for the update! I like the idea of New Forest having the same handle to me that could be a trade mark for you other than the high quality of your brushes. The money has been put a side. Just waiting for the 2221 to drop to the public. Email me at NFB@padh.co.uk and I will add you to a list of people who have asked to be sent details about the New Forest High Mountain Badger 2221 just before the launch. Liking the look of the imitation ebony Fido, put me down for one when they arrive please.